REIDSVILLE, NC – John Earl Harrelson, 88, went home to be with the Lord on Sunday, December 14, 2014. He was born in Caswell County to George W. and Mary Somers Harrelson. 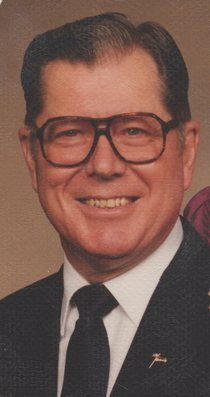 He was a retired Baptist minister and also served in the U.S. Navy from August 1944 until June 1946 during World War II. He was predeceased by his parents; his wife, Robena Whicker Harrelson; sisters Mae Harrelson, Evelyn Crews, and Ruth H. Chilton; brothers, Herbert and Harry Harrelson; his sister-in-law, Gwendolyn Perkins, and nephew, Charles W. Perkins. Funeral services will be held at 2 p.m. Tuesday, December 16, 2014 at New Heights Baptist Church, N.C. Highway 14, Reidsville, NC with Pastor Harold Venable and Pastor Jim Reaves officiating. Visitation will be one hour prior to the service. Burial will be at Reidlawn Cemetery. Memorials may be made to the building fund at Thompsonville Baptist Church or Hospice of Wentworth, NC. Mr. Harrelson is survived by brothers W. Claude Harrelson and wife Alene, George I. (Sonny) Harrelson and wife Inez, Joe W. Harrelson and wife Mildred, Bobby L. Harrelson and wife Connie; special nephew, Ron Perkins and his wife, Alice, and brother-in-law, J. N. Perkins. He is also survived by many nieces and nephews and great nieces and nephews. Please accept out Condolences, James "Bailey" , Linda Carol Chance. And all our Family.